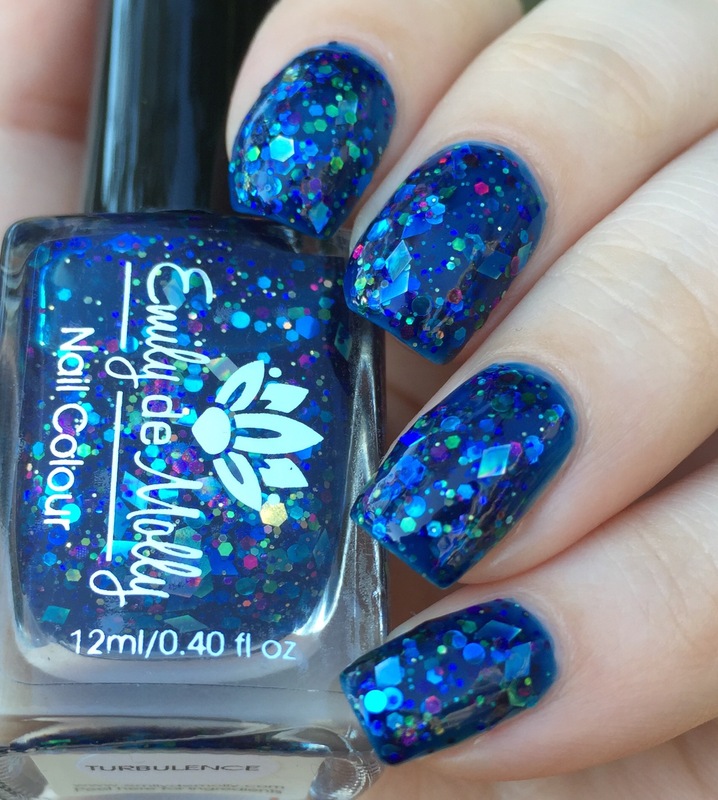 Emily de Molly is a brand whose polishes I’ve been eyeballing for years, but never (before) managed to purchase. It’s an Australian brand, and the price through the U.S. stockist I knew was just out of my budget. But, now Emily de Molly has a U.S. warehouse and website! I moseyed on over to their new site to continue my ongoing ogling and discovered that her direct prices are totally doable- yay! So, shortly thereafter this longtime lemming came to my doorstep. Hellooooo “Turbulence,” come to mama. 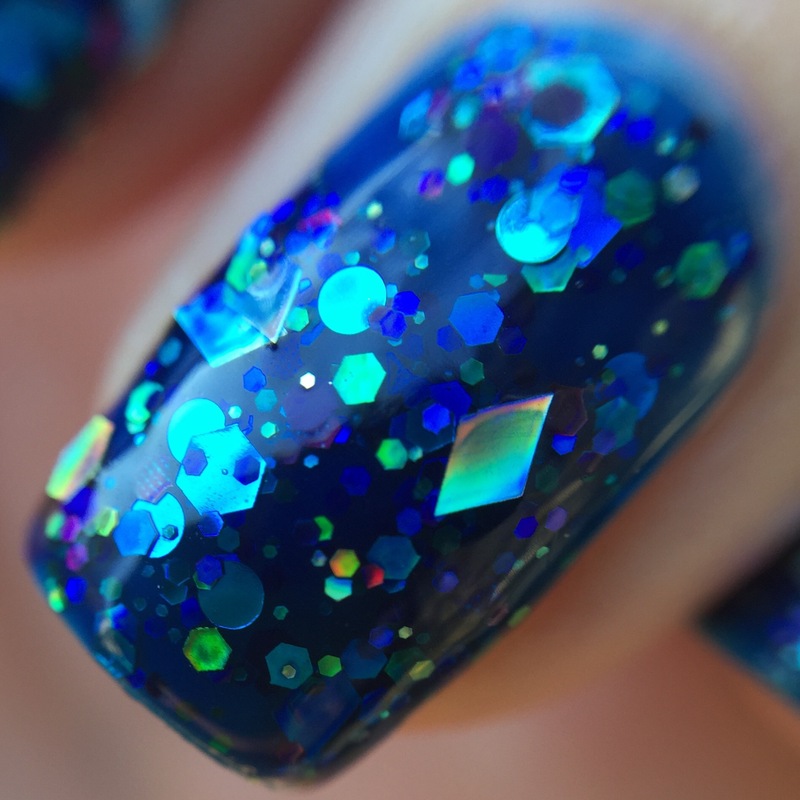 “Turbulence” is a deep blue jelly with a ton of glitter- holo diamond-shaped glitter, holo circles and hexes,as well as lime green and magenta hexes. I love it. It’s so deep and squishy and full of colors- heck it’s so glossy that it makes me feel like a fancy blogger with mystical magical smooth/shiny nails (I aspire to magical glossiness). This is three thin coats, but I think two would be fine if you’re skillful with the application. The glitter is packed in there and comes out easily and pretty evenly. I had no problems getting the glitter on my nails and satisfactorily even (and I’ll fully admit to being obsessive about it). I will say that there might be too much glitter if you’re trying to go with more than three coats- there ends up being a lot of glitter squished on your nail (too much of a good thing, eh?). 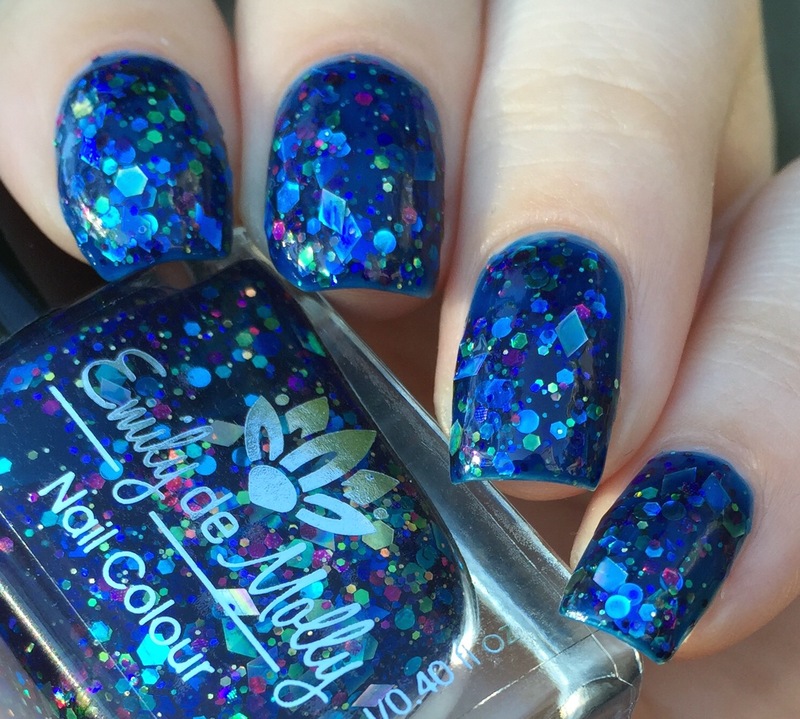 I’m super excited to recommend this polish and this brand- after all this time trying to get ahold of it, now anyone can purchase it directly through Emily de Molly’s site! In my experience, the site worked well and the shipping was super speedy (even though I purchased during a sale, which can slow things down). With my longtime glitter lemming now safely in my possession, I’m now starting to check out the brand’s gorgeous holos (and holo flakies)- swoon! This is gorgeous! I really need to invest back into EdM! So freaking gorgeous! 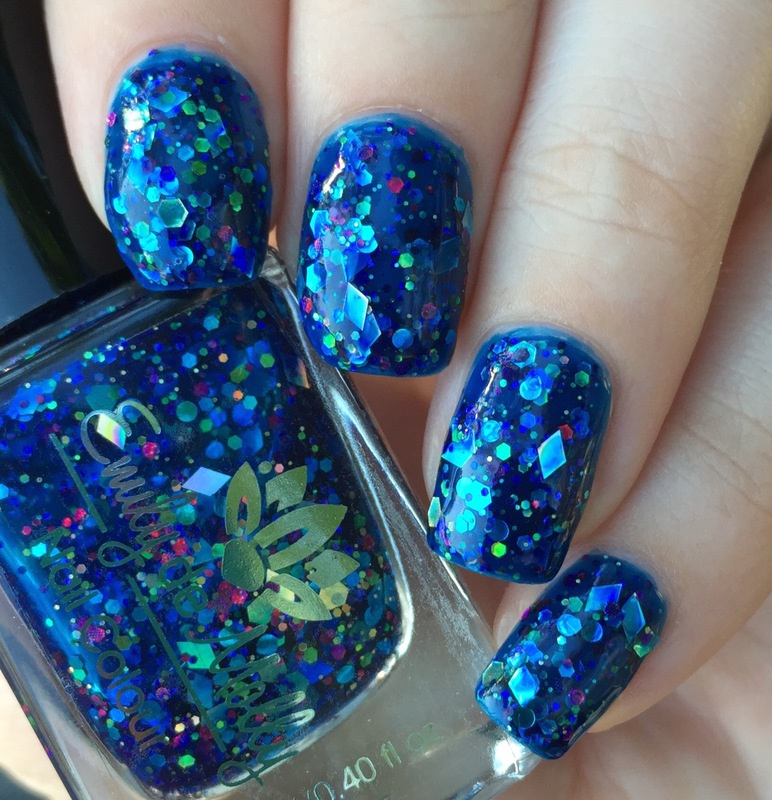 Squishy, glitter, and blue, it’s totally my kind of polish. Ughhhh I really need to try this brand!! What a gorgeous polish! This is one of the classics from the brand! I’m a huge fan of Hayley’s polishes! This has so much depth, I like that the glitters aren’t hidden in the base.